ACJR participated in the 8th Annual Conference of the Pan African Lawyers Union Seminar focusing on Initiatives for the Decriminalisation and Declassification of Petty Offences in Africa held in Durban, South Africa from 5 – 8 July 2017. 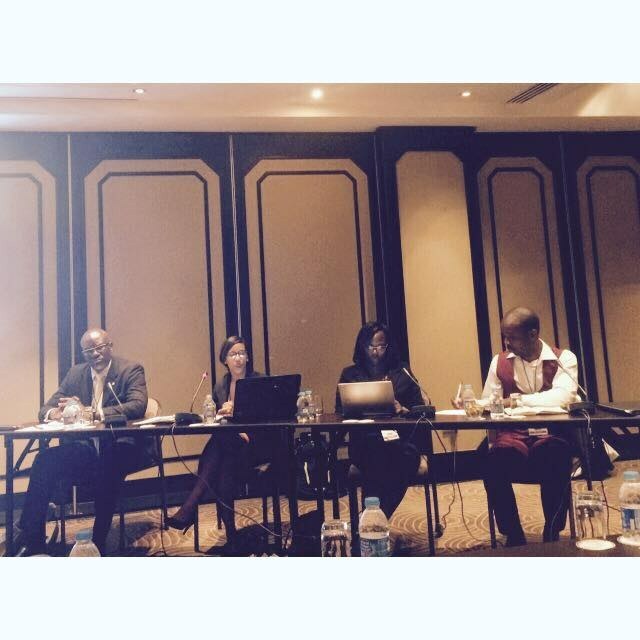 Kristen Petersen participated in a panel discussion on Continental Initiatives for the Decriminalisation and Declassification of Petty Offences in Africa. She addressed a group of lawyers on why decriminalisation or declassification of certain petty offences is rational for intervention from States on the African continent and why alternative mechanisms to deal with it are important. In her presentation she showed how petty offences such as vagrancy and loitering (mostly inherited by colonial regimes) are drafted in a manner that directly or indirectly targets or discriminates against poor and marginalised people. She highlighted that the punishment for a minor infraction of the law is in many instances disproportionate to such kinds of offences and that many poor and vulnerable people across the continent are held in pre-trial detention for extensive periods for minor infractions of the law, thus clogging up the entire criminal justice system and contributing to overcrowding in detention facilities.